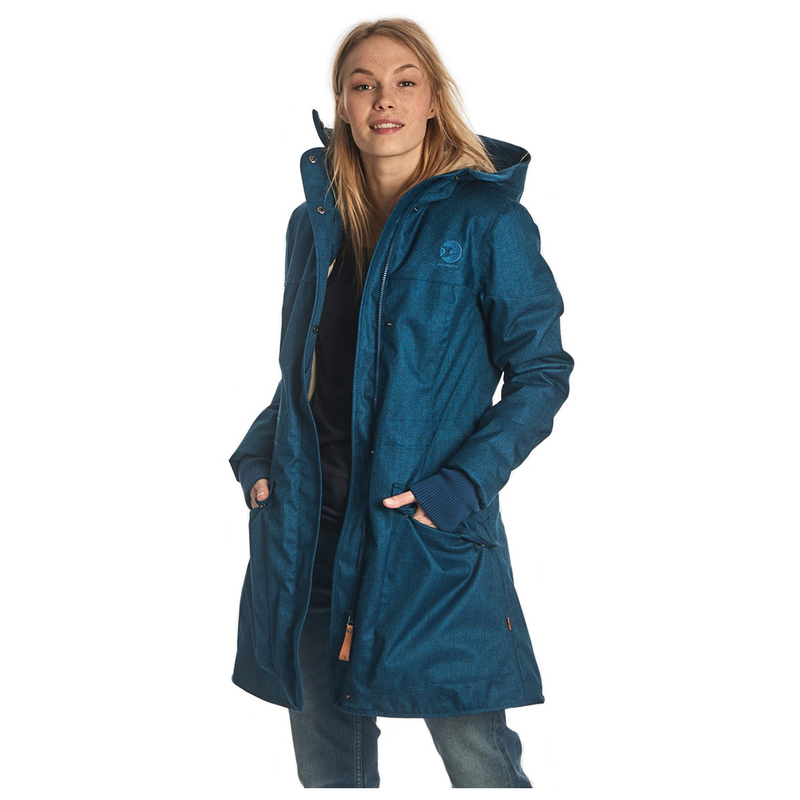 Water and dirt repellent perfect or winter weather: the Women's Oona Ice from Finside! 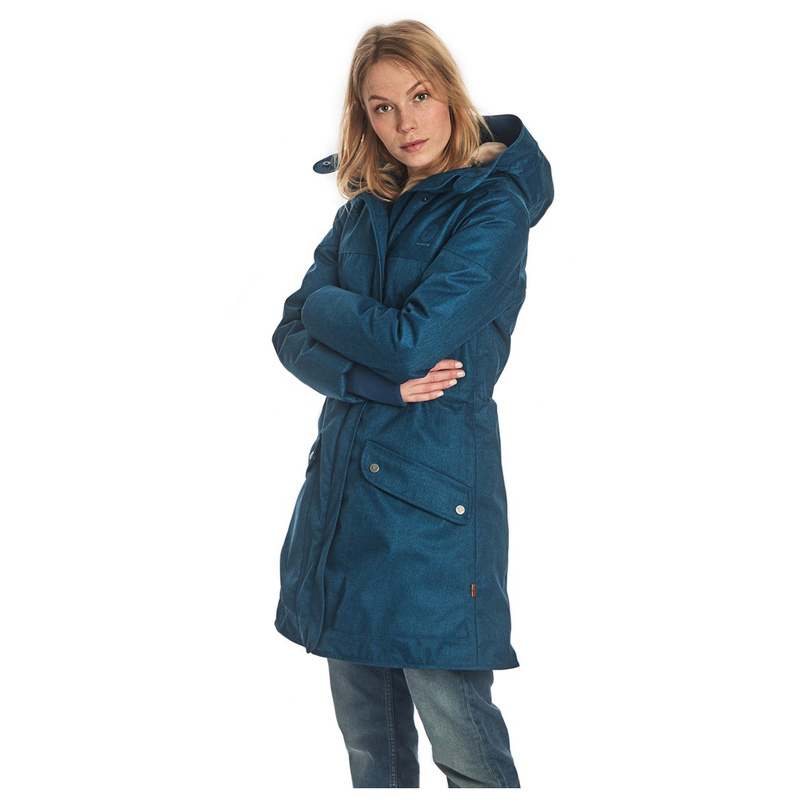 Equipped with a baby belly extension, this winter parka is especially well suited for pregnant women. 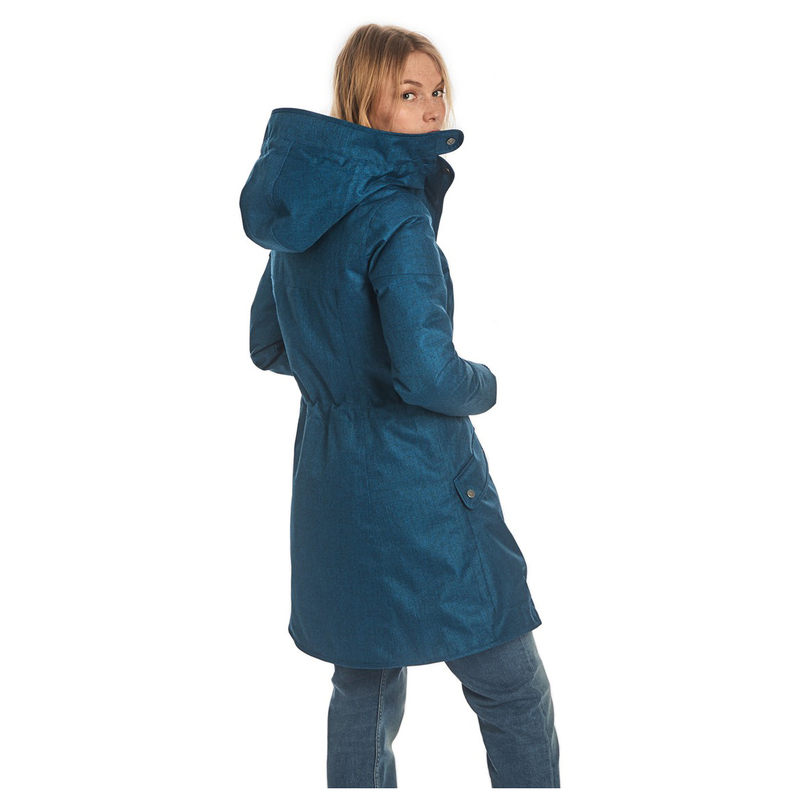 Plus, the coat is windproof and waterproof and has taped seams to boot! 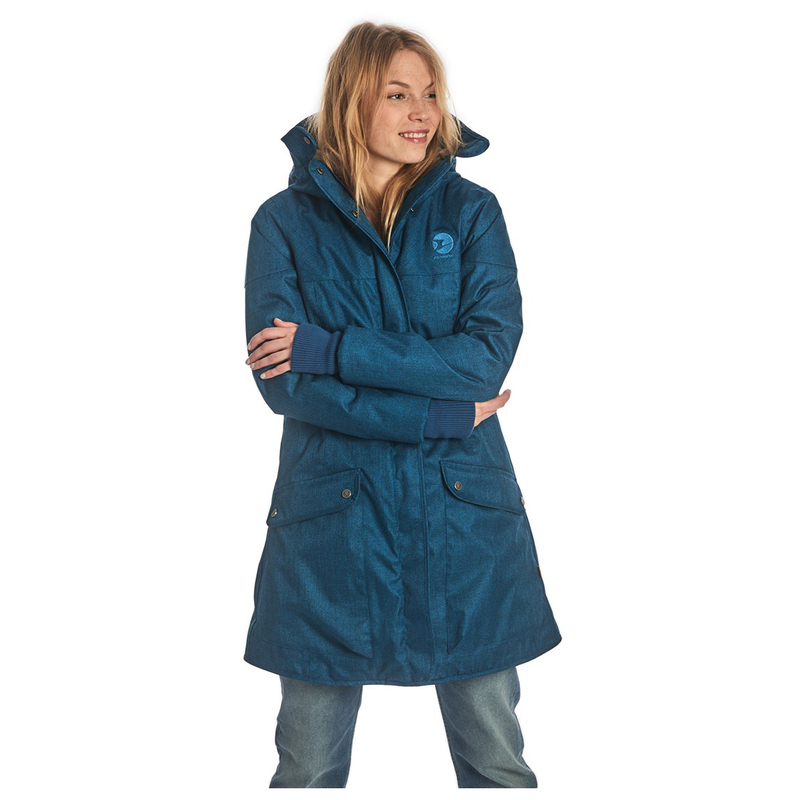 That way, mums-to-be can go outside on wet winter days without a worry! There are two front pockets with enough storage space for all your small essentials. 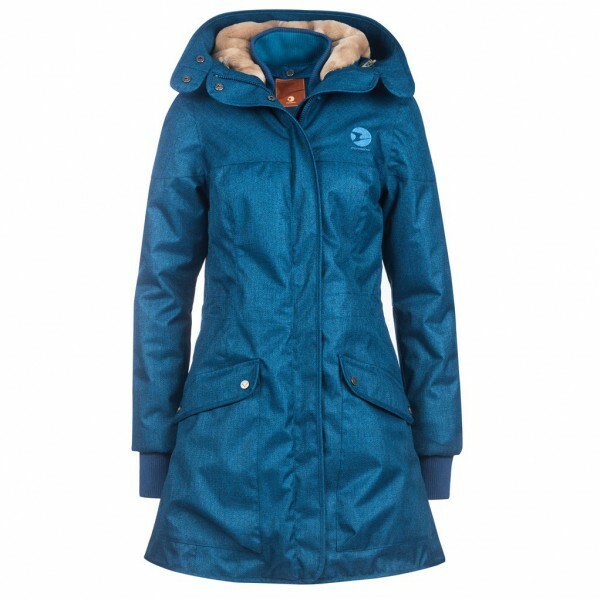 Of course, the insulation will keep your body nice and toasty, whilst the detachable hood shields your head from the elements. 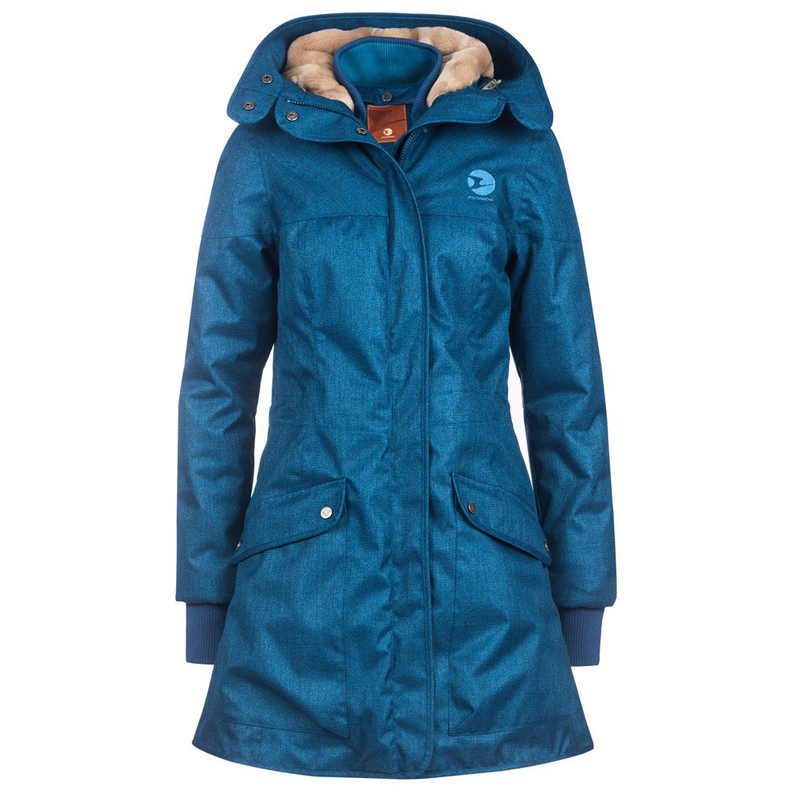 Your new favourite jacket - the Finside Women's Oona Ice!